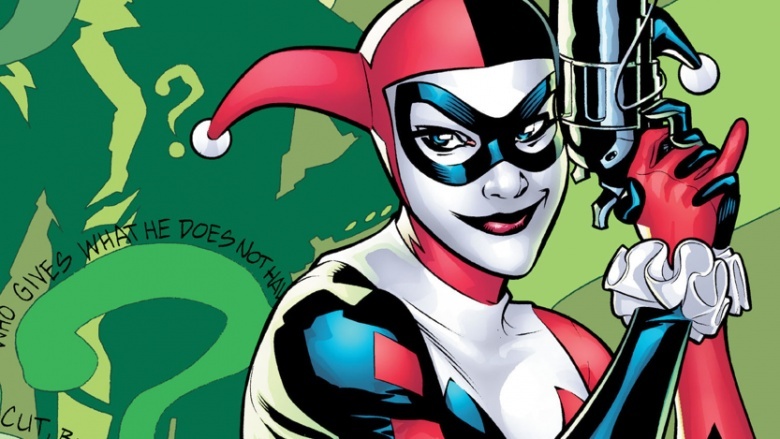 Fan-favorite DC Comics villainess Harley Quinn has a complicated and deeply troubling history. Sure, on the surface, she's usually just referred to as The Joker's crazy girlfriend, but the truth behind that simple statement is probably one of the more disturbing and depressing stories in comics. 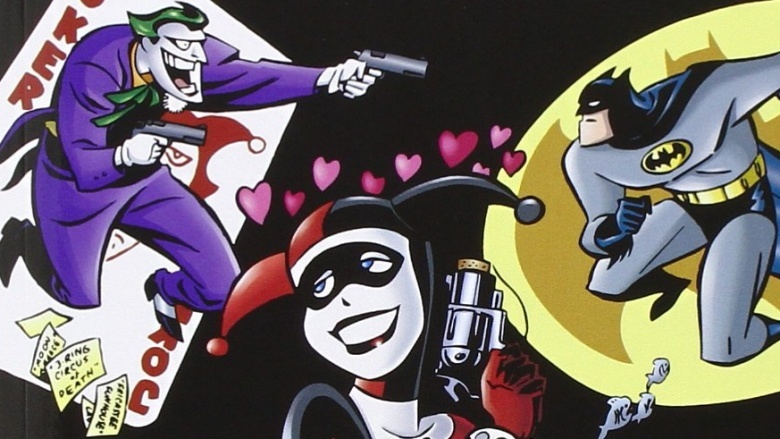 From her lighthearted beginnings as a throwaway cartoon character, Harley worked her way into the fanboy psyche to become one of comics' most followed ladies. 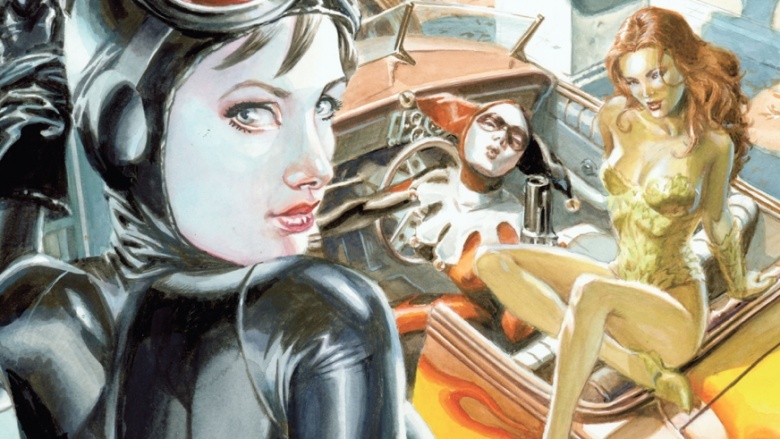 Here are some of the more sordid details from Harley's dark past. 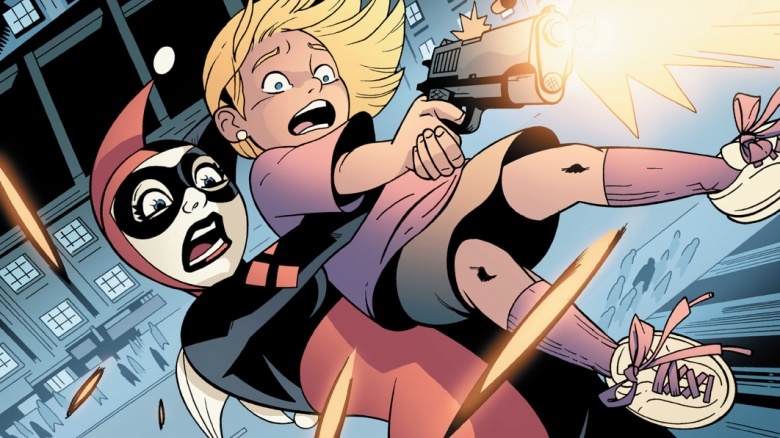 Compared to most popular comic characters, Harley has a relatively brief past. She first appears as one of The Joker's goons in the 1992 Batman: The Animated Series episode "Joker's Favor," where she's enlisted to kidnap a guy who was once involved in a road rage incident with The Joker. She would continue to make regular appearances in both this series and The New Batman Adventures, where it quickly becomes clear that her love of The Joker is not at all reciprocated, though much of that hostile subtext was lost on younger viewers. 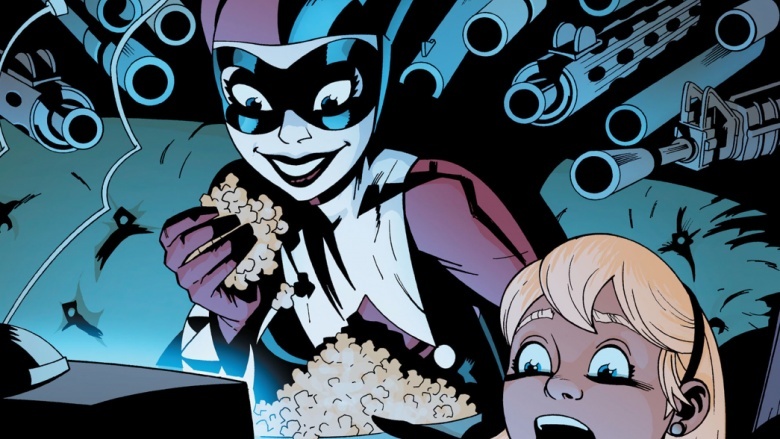 Two years later, Harley Quinn's origins are explored in the graphic novel Mad Love, illustrated in the style of the Animated Series. Fairly adult in content, it's explained that Dr. Harleen Quinzel, an aspiring psychotherapist with an affinity for "extreme cases," seduced her way through college, barely earning her degree. 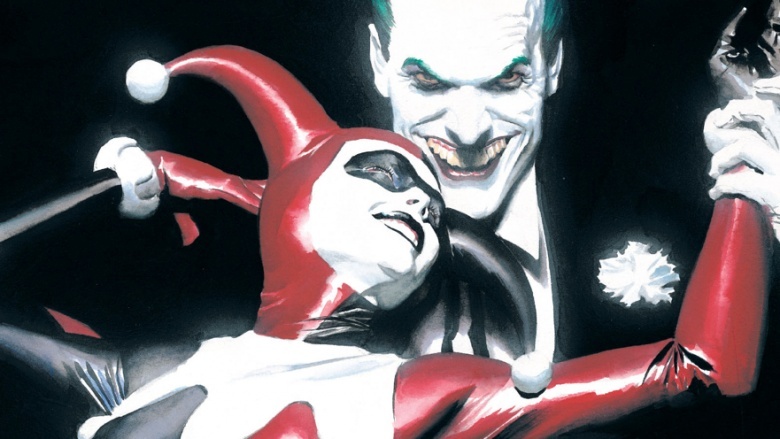 After landing a job at Arkham Asylum and working one-on-one with the charismatic and dangerous Joker, Harley becomes completely obsessed with the Clown Prince of Crime, and eventually helps him break out, insinuating herself as his sidekick. She even manages to capture Batman and trap him over a tank of piranhas, but in a fit of jealousy, the Joker rewards her by throwing her out a window and releasing Batman. Harley Quinn makes her first in-canon DC Comics appearance during "No Man's Land," a story arc in which Gotham is ravaged by a terrible earthquake. Poison Ivy, commissioned by Batman to provide food for Gotham's refugees, finds Harley in a pile of rubble and rescues her. At first distrustful, Ivy administers some of her fancy plant stuff to Harley which grants her increased agility and strength, as well as immunity to some toxins, because…plants, right? Harley rushes out to find The Joker, who is immediately annoyed by her presence, uses her as a distraction against Batman, and when she's not crippled in the process, Joker traps her in a rocket and once again attempts to murder her. By now, it's clear that Harley is an abused "girlfriend," both physically and mentally, but she just can't shake her obsession with The Joker. 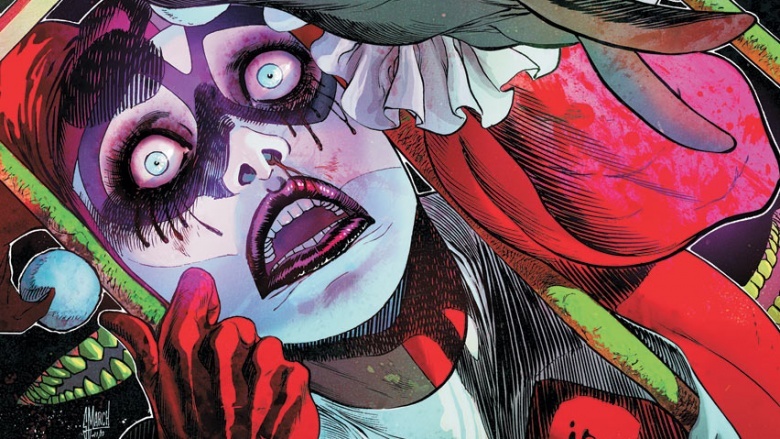 She scores her own solo title, simply called Harley Quinn, but even in her own book, she's compelled to rescue a catatonic Joker and attempt to rehab him in a new hideout. During these events, The Joker is seen faking illness to avoid spending quality time with Harley, assigning her the task of an elaborate amusement park murder instead. 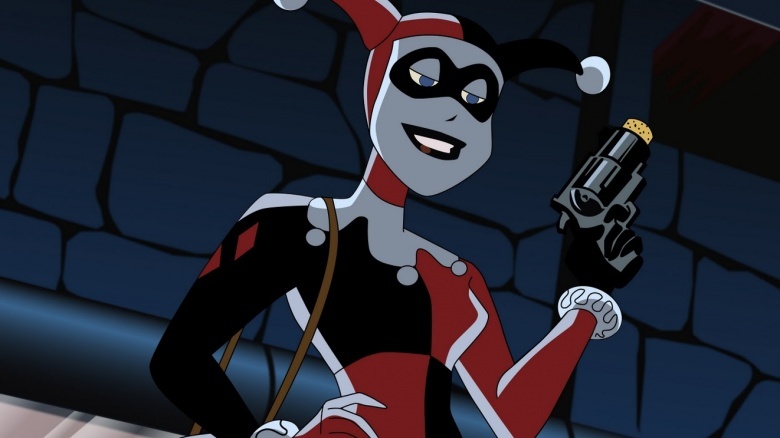 Jealous that Harley is better at his job than he is, Joker shoots her again. Or rather, he shoots Poison Ivy disguised as Quinn, who took the guise to save Quinn's life. Quinn electrocutes The Joker and goes on solo adventures. 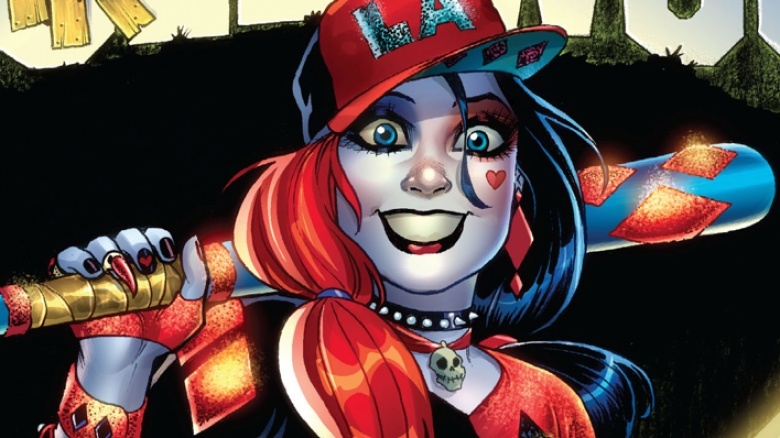 For the rest of her solo book, Harley Quinn seems to lose all sense of humor. She starts taking on strange mercenary jobs and slowly begins to lose her light-hearted personality. By the finale of her series, she suffers a total breakdown after she chooses a large cash payout instead of saving the eyesight of a small child. It's a terribly dark moment for Harley Quinn, and even her character realizes it. She turns herself in to Arkham again. Batman #663 is a really weird issue. Rather than a fully-illustrated comic, writer Grant Morrison wrote the issue to be mostly dramatic prose, with a few strange, computer-generated illustrations throughout. 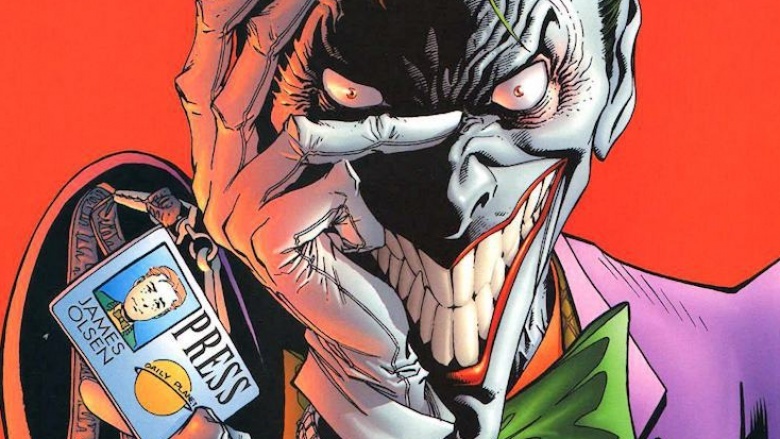 If you can make your way through the grandiloquent writing, you'll see that The Joker plans on murdering all of his previous henchmen, and that includes Harley Quinn. Quinn discovers this plot a bit too late, after killing ten other people for her boss. Even for Quinn, this is a high body count, and once again, Harley narrowly avoids being killed by her unwilling paramour. That's four serious murder attempts so far. Harley finds herself on Themyscira, the island of the Amazons, in a rehab and training program under the eye of Athena. Secretly, Athena is being impersonated by the evil Granny Goodness, one of Darkseid's many henchpeople. Harley and some other trainees discover the duplicity, follow Granny to Apokolips, and Harley very temporarily gains superpowers before returning to Earth again. Solving intergalactic space-crimes really isn't a Harley thing to do anyhow. The series Gotham City Sirens opens up with Poison Ivy, Catwoman, and Harley Quinn sharing an apartment in Gotham—except it's The Riddler's apartment, and he's stuck catatonic on a couch because of Ivy's poisons. Yet again, The Joker attempts to kill Harley, with her two new best friends getting caught up in the explosion. The trio set out to find The Joker to kill him once and for all, but when they find him, it's revealed that it's actually Gaggy Gagsworth, Joker's original sidekick, jealous of Harley's "relationship" with The Joker. Even when The Joker isn't The Joker, he's trying to kill Harley. By the conclusion of Sirens, we learn that The Joker had once poisoned and killed the infant son of an Arkham guard, just for fun. Harley uses this knowledge to break into Arkham in order to, yet again, finally murder the Joker for his cruelties, as egged on by her girl power group. Once inside, surprise surprise, she is once again charmed into letting him live, and all three girls become enemies in a massive brawl throughout Arkham. Harley's obsession destroys her constructive relationships and replaces them with one where she's regularly beaten. …But forget all of that, because DC launches their New 52 initiative, rewriting every character's story from top to bottom. 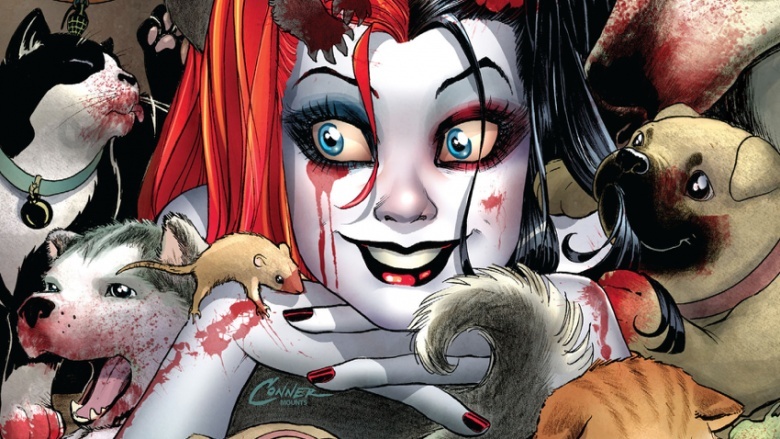 In this new incarnation, Harley joins a roller derby team, talks to a taxidermied beaver, her suggested romantic relationship with Poison Ivy becomes a lot more explicit, and she takes a side job as a stripper. Of course, she's still in love with The Joker, but his presence isn't quite as pronounced as before. 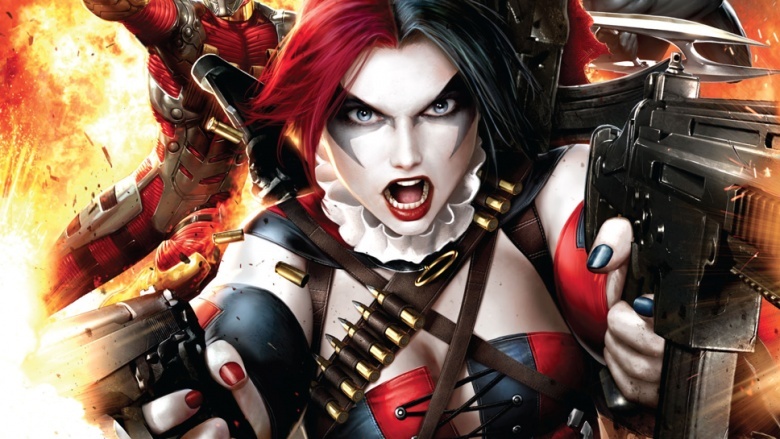 Harley is tapped to become part of Amanda Waller's new Suicide Squad, alongside a bunch of other reforming criminals. She's not there entirely on her own free will, however, because New 52 logic states that she has to have a bomb planted in her head to force compliance. Later in the series, Harley gets all hopped up on Bane's steroid-like venom, bulks up like The Hulk, and is kept in a cage—for her own safety. Most recently, Harley is seen in a romantic relationship with a man who isn't The Joker, for possibly the first time in her comic career. She's escaped the Clown's thrall, which is confirmed when she gives him a kiss—and bites his lower lip completely off. 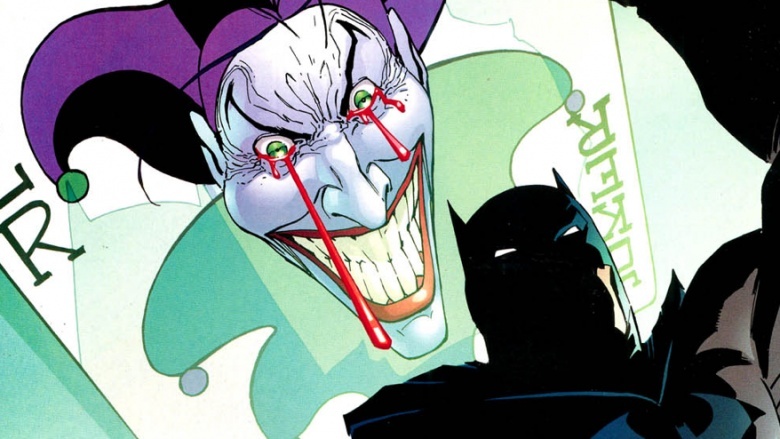 Maybe DC's writers realized that 25 years of relationship abuse isn't really a fantastic plot device, but there's no doubt that Harley will return to The Joker in DC's next reboot anyhow.